Description: Drawing a have a specific emergency response procedures manual outlining what to do in the event of an emergency is very crucial in a kindergarten. 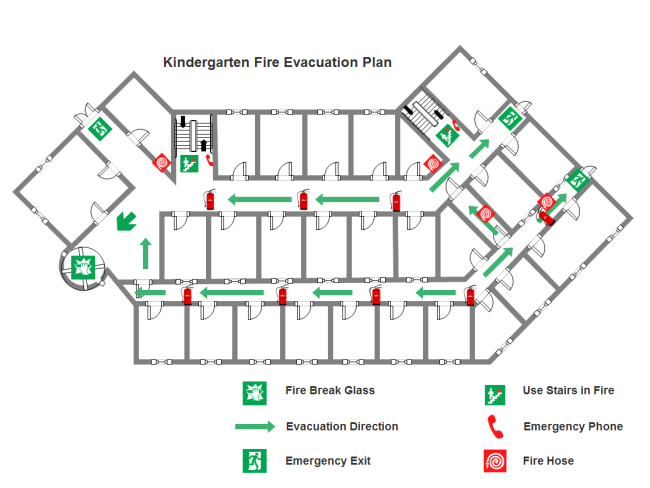 Immediately download this free customizable kindergarten fire evacuation plan template. With ready-made wall structures, fire and emergency symbols like exit, arrows, extinguisher, fire hydrant, you can create professional fire evacuation plan in minutes.